So far we have experienced this dish twice this week….and as I write this it’s only Wednesday, so we may make it again – we enjoyed it that much! 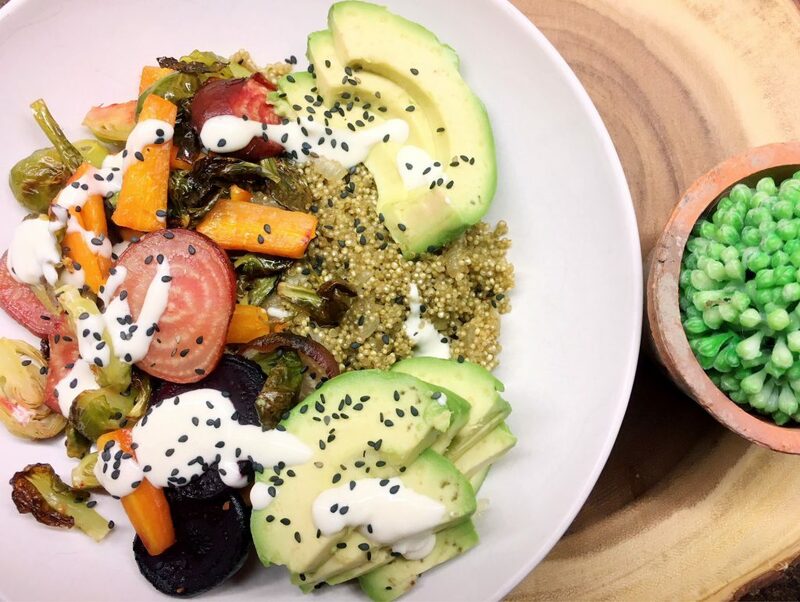 We love making “bowls”, they’re such a great way to use up vegetables you have on hand, and experiment with different combinations. 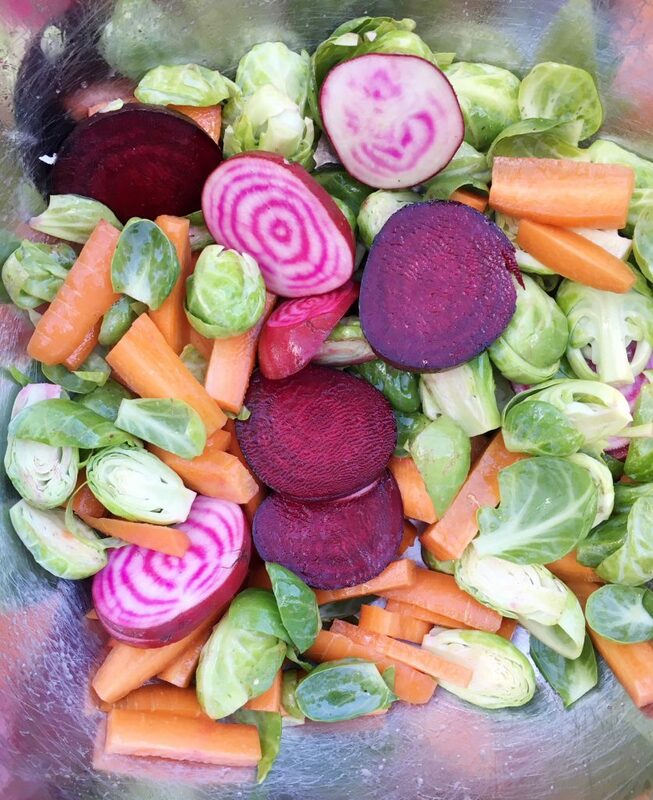 Fall is a great time to enjoy the freshness and health benefits of local root vegetables and cruciferous vegetables. Using a base of quinoa is a great way to enjoy plant-based protein that is also mineral and fibre-rich (remember, animal protein has zero fibre). Typically, I make sauces/glazes that are Tamari-based, it’s our “go to” with veggies. Inspired by restaurant we took our son Dan to in Hamilton, I thought I would top with a garlic aioli sauce. We loved the results which may account for our multiple repeats this week! After rinsing quinoa, warm oil in saucepan. Saute onion until softened. Add quinoa and stir mixture with onions until much of moisture has been absorbed. This step helps prevent mushy quinoa…no one likes mushy quinoa! Then add broth and bring to a boil. Reduce heat to simmer, stirring occasionally until broth has been absorbed….approximately 15 – 20 minutes. Remove from heat and set aside. Toss vegetables with oil and salt. Roast at 425 degrees for approximately 30 minutes. Create a paste with garlic and salt. Gradually whisk in mayonnaise, oil and lemon juice. Spoon quinoa into bowl. Top with roasted vegetable and avocado. Drizzle aioli sauce and sprinkle with black sesame seeds. Enjoy!